Anyone travelling by road or rail north from Sydney to the Central Coast, Newcastle, or further north will experience a dramatic change of scenery 35 kilometres north of Hornsby. Here, both road and rail descend to the wide expanse of the Hawksbury River. At river level, near to the expressway road and further west of the railway track, lies Peat Island, a narrow point of land reaching into the river. It was, indeed, once an island, but in the 1950s became connected to the river’s edge by the construction of a causeway. Neither road nor railway travellers are likely to notice Peat Island. It is now largely deserted. Yet, for over a century the island was the site of a hospital that was secretive, sinister and often ill-managed. Europeans first surveyed and settled the lower reaches of the Hawkesbury River early in the 19th century. This was the country of the Darkinjung people, but it was not a permanent habitat, with the river subject to flooding and seasonal variation. Peat Island is one of six islands in these lower reaches of the Hawkesbury, near the river mouth. It was first named Rabbit Island, but this became Peat Island in 1936, in recognition of a local pioneer, George Peat, who had built early roads and set up a ferry service across the river in 1844. All six islands were reserved for Crown use in February 1866. Some were sold for private use but by the end of the century the relative isolation of Peat Island and neighbouring Milson Island offered a possible solution to prison overcrowding in New South Wales. NSW’s prisons, hospitals, and asylums for the destitute and insane were chronically overcrowded in the late nineteenth century. Frederick Neitenstein, Comptroller-General of Prisons from 1896 to 1909, sought to reduce overcrowding in the prison system by weeding out alcoholics [and] people with mental illness … [He] first raised the problem of habitual drunkards in 1896, suggesting that a purpose built asylum be established for their care and cure. Neitenstein was supported by Dr John Mildred Creed, a medical practitioner and long-serving member of the Legislative Council in the NSW Parliament, who was authorised by the NSW Premier to select a site for an asylum. Creed proposed that two hospitals for inebriates be built, one for men and one for women, and he recommended that they be located at Peat and Milson Islands. A building program began but progress was slow. Eric Sinclair, Inspector-General of the Insane, was convinced that the provision of a wider range of treatment facilities was essential for the successful treatment of the insane. In 1910, Sinclair determined that Rabbit (Peat) Island would be reserved for men and boys with an intellectual disability. The first patients arrived on the island in March 1911. Thus began the use of Peat Island as an institution for the mentally ill. The Peat Island centre was eventually closed in 2010, with the remaining residents moved to a specially designed aged care facility on the Central Coast. 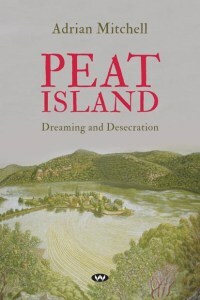 Adrian Mitchell, a former university academic, has now written a history of Peat Island. 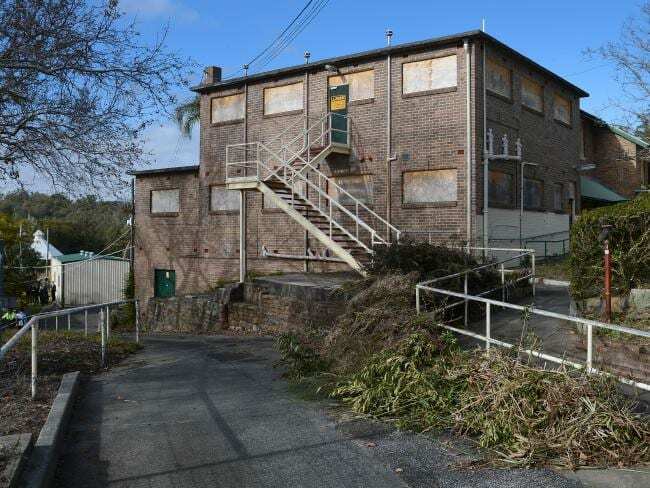 The book is not, however, just a history of the island’s 100 years as a facility for the mentally ill. Mitchell taught for many years at the University of Sydney and now lives on the edge of Ku-ring-gai Chase, close to the Hawkesbury River. He set out to write more than an institutional history of Peat Island. He started with the river and its natural environment and its importance to the Darkinjung people, but has also written a history that outlines the prevailing attitudes to the treatment of mental illness throughout the 20th century, with the impact of the budgetary priorities of government and the competition for scarce resources. Mitchell has taken pains to explain the role of relevant government officials, such as the Inspector-General of the Insane and the superintendent of the Peat Island Centre. These officials were important not only for the management of Peat Island, but also for making recommendations to government about the island’s management. There were continuing problems with staffing; in each of the world wars the staff enlistments in the forces led to shortages; at other times professionally-qualified people, particularly doctors and nurses, were not available. Conditions improved after World War II but, with the isolation and secrecy of Peat Island, there were always individual tragedies and cases of abuse that were seized upon by newspaper journalists. It was not only the occasional instances of murderous violence that were reported, but also deaths resulting from the poor quality of supervision – or the lack of it – on the island. In 1950, a coronial court inquired into the alarming death of an 11-year-old boy, Robert Blackwood, who had been found asphyxiated under soiled clothing in an iron drum. Even then, ‘[the coronial] jury found that there was no evidence to show how Blackwood came to be in the bin, or of neglect on the part of the staff of the hospital’. In 1981, in another instance of inadequate supervision, the NSW Ombudsman was called upon to investigate a case in which a 17-year-old youth, left by his parents in temporary care for a fortnight at Peat Island Hospital, suffered painful mutilation when all of his fingernails were removed. This lad was intellectually handicapped, was unable to speak, and communication with him was extremely limited. Apart from the pain and tragedy of episodes like these, for much of the 20th century boys and men lived at Peat Island in conditions of overcrowding, lack of staff supervision, and inadequate care delivery. Hundreds, if not thousands of them would have lived out their lives as anonymous residents like Bernard John McMahon who, in the words of his brother, ‘experienced the good, the bad and the ugly during his stay at Peat Island’. McMahon had been placed in the Peat Island centre in 1956 at the age of 11. He was devastated at being taken from his nurturing home at such an early age and was to spend 53 years in an institution. He died of cancer shortly after his 65th birthday. In spite of this apathy, many significant postwar improvements came about through non-government initiatives. The most important of these was the establishment of a Ladies Auxiliary at Peat Island. At first, most of the members of the Auxiliary were wives of staff. They held a Christmas Party in 1938 and, from 1951, fetes. By 1954 they had raised enough money to purchase a school bus for £3300. Generally speaking, Adrian Mitchell has been well served by his publisher. The book would have benefitted, however, from the inclusion of a map showing the proximity of Peat Island to the highway and railway, the island’s size relative to the much larger Milson Island, and its distance from Milson Island. Although there are no illustrations in the book, this is not a major drawback. Those looking for historical photographs of Peat and Milson Islands could consult online sources or the pictorial history Our Island Home: A History of Peat Island. While the reader is well served by the detailed endnotes, one improvement would have been inclusion of a bibliography listing titles of books, theses and reports of various commissions of inquiry, relating not only to the history of Peat Island but also broader issues of the management of mental health in Australia. Overall, Peat Island: Dreaming and Desecration is a valuable history that has been painstakingly researched and beautifully written. While the institution on Peat Island is now closed, Adrian Mitchell’s work has helped to remove much of the mystery of the island and reveal many of its secrets. * John Myrtle was principal librarian at the Australian Institute of Criminology, Canberra. He has produced Online Gems for Honest History, drawing upon his extensive database of references, and has written a number of book reviews for us (use our Search engine). He has also explored the history of the Arthur Norman Smith lectures in journalism. Laila Ellmoos, Sue Andersen & William Newell, Our Island Home: A History of Peat Island, Ageing, Disability & Home Care, NSW, Sydney, 2010, p. 16. Stephen Garton, Medicine and Madness: A Social History of Insanity in New South Wales, 1880-1940, UNSW Press, Sydney, 1988, p. 50. For an institutional history, see Our Island Home (note 1 above). From 1918 renamed Inspector-General of Mental Hospitals. Originally, the medical superintendents did not have medical qualifications. Report of the Ombudsman of New South Wales … concerning Mr R C Osborn and the Department of Health, 18 October 1983. Peat Island: Dreaming and Desecration, p. 116. Similar to a map in Our Island Home, p. 6.